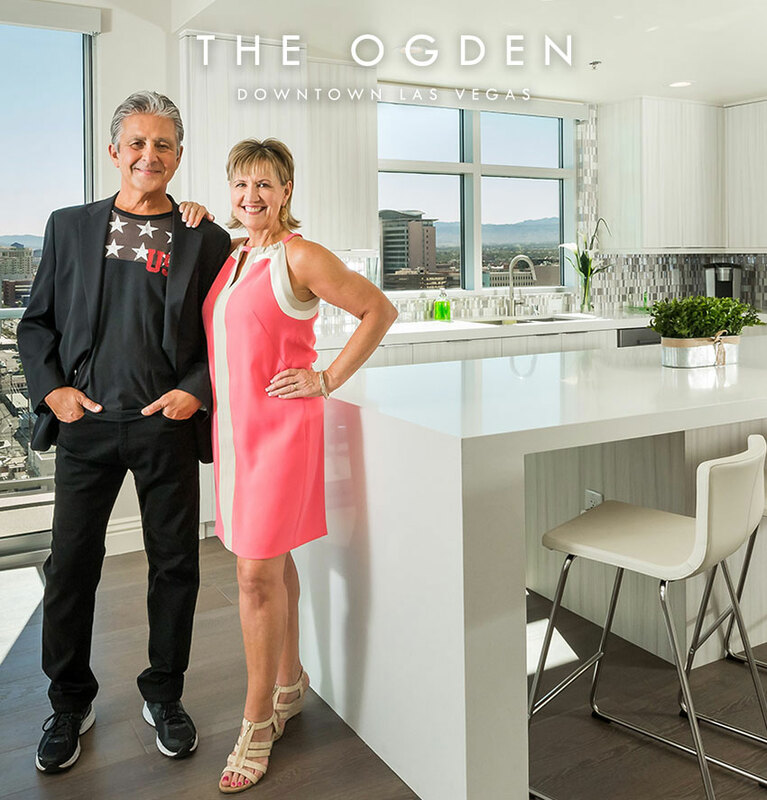 The Ogden is set to unveil its newest model homes, each styled by acclaimed interior designer Lee Bryan, at an event open to the public this Sunday, June 7. On display will be four newly furnished designer homes, including The Baker, The Russell, The Hesse and The Ferron. These spacious condominium residences offer bright, open floor plans, modern design highlights, refined finishes and top-of-the-line appliances. We also invite you to experience The Ogden’s new Sky Deck, high above Las Vegas with sweeping views of the surrounding mountains and The Strip, to enjoy summertime refreshments and live music. Beyond the featured models and Sky Deck, take advantage of being on-site to explore our other newly reimagined lifestyle amenities that include a rooftop pool, fitness studio, owners clubhouse and pet park. At The Ogden’s doorstep is the growing, culturally-dynamic Downtown Las Vegas neighborhood. An exciting array of dining options, a community grocery market, a casually hip nightlife, independent boutiques, coffee houses and theaters are located just steps away. The Ogden offers one to three-bedroom residences priced from the low $200,000s to the $600,000s. Join us Sunday from 12pm – 5pm, or contact a Condominium Specialist at 702.478.4700 to schedule a private presentation. On-site financing available.